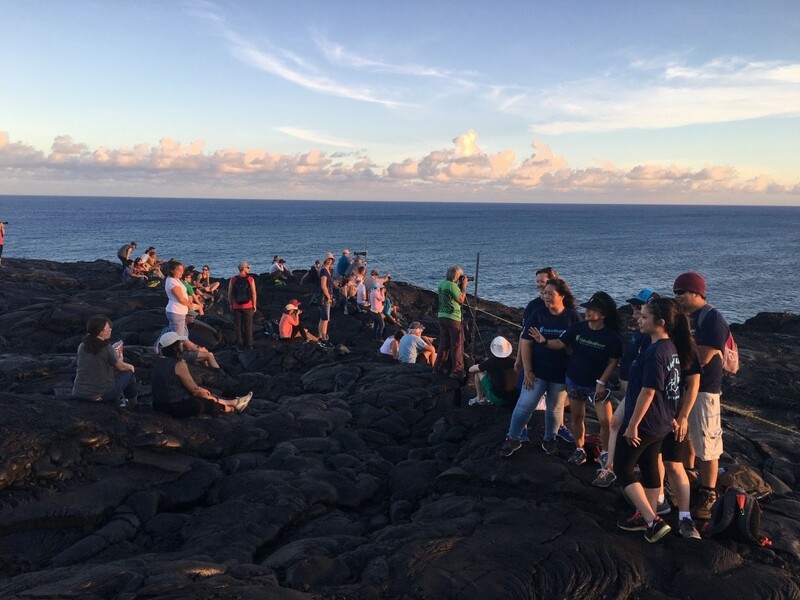 If you want to hike or bike and hike to the actual lava flow, this is where you go. 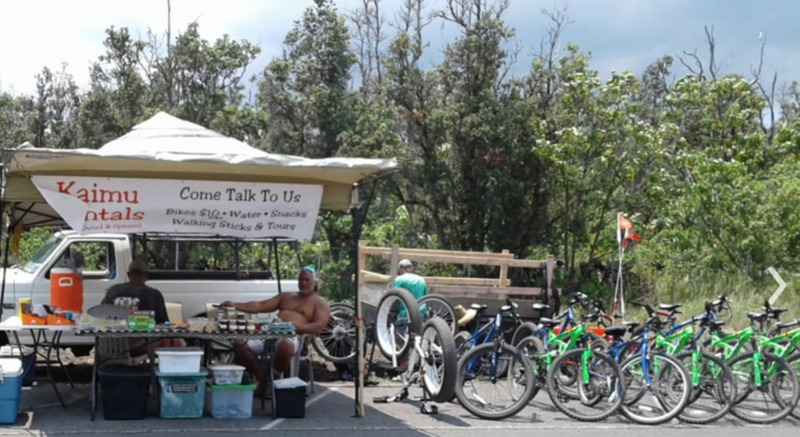 Hawaii has set up parking and basic facilities near the end of the paved road, near to coast, for you to park. This is the start of the Royal Gardens subdivision that was wiped out during the 90’s when the Pu’u 0’0 vent of the Kilauea volcano started to flow down the volcano toward the coast. 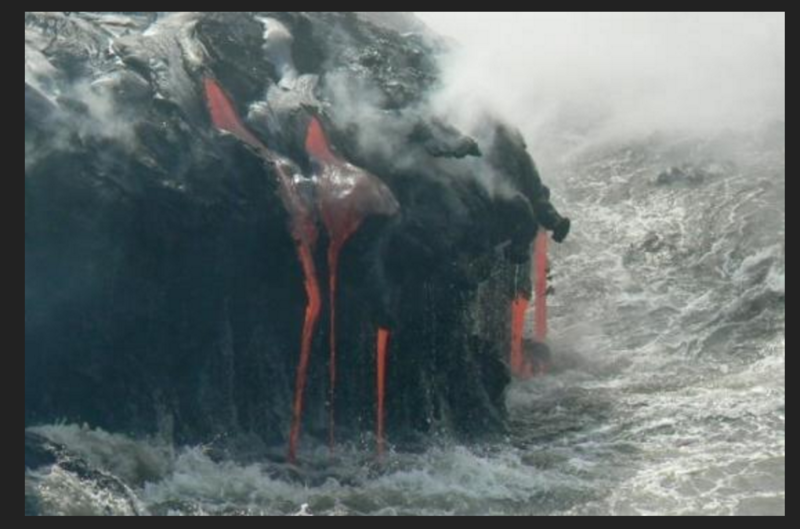 Lava flowed into the ocean during the 1990s until 2014, with some interruptions. Then it stopped flowing in this direction. It started flowing back in this direction As of July 25th, 2016 the lave has reached the ocean. Almost all visitors go to Volcano National Park, at the Kilauea crater. But there isn’t much to see there. The crater has lava in the caldera, but deep in the caldera. It varies from 60′ to 160′ below the top of the caldera. You see the glow of the lave at night and the steam during the day, but that is it. 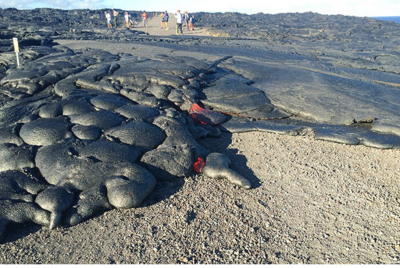 I find it at least as interesting to see the recent effects and scale of the lava flow. Here you can park your car and view the aftermath of the lava flow on what was a thriving community. 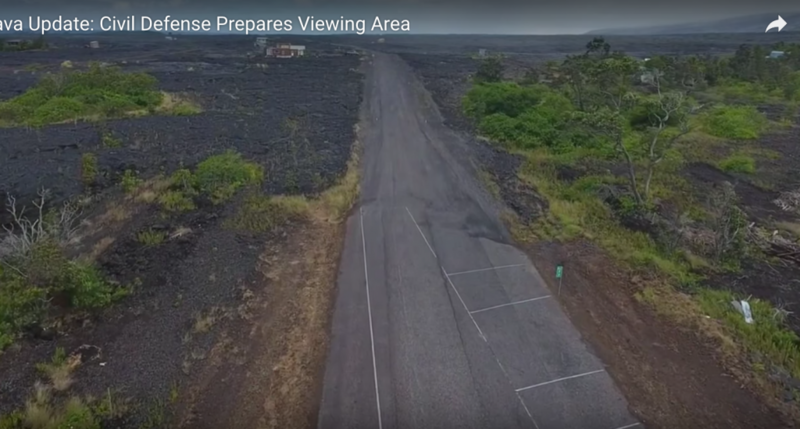 In 2014 Hawaii built an emergency road across the lava field. They do not allow anything motorized on this road. They only allow walking and bikes. This road is only open for access from 3:00 until 9:00 pm. Don’t arrive too early. Bring plenty of water and walking shoes. If you venture off the road, the walk is difficult and if you trip you will cut your legs. The lava is sharp. If you are going later, make sure to bring a flashlight with fresh batteries. The hike to the lava flow is at least 4 miles each way. This is a very long way by foot, but quite easy by bike. Then you just walk about 50 yards from the access road to the viewing area, which is as close as you are allowed. A couple outfits offer a tour where they provide mountain bikes to bike on the road. The only company that I know of that provides these tours at the moment is http://lavalandhawaii.com. The price is $99. Whether you make a quick visit to the Viewing Area to simply go on a short walk, or spend half a day and bike to the active lave depends on the time and level of interest. The mistake people make is going to the Volcano National park and spending too much time there. Paved road ends and gravel road begins. This is before all the parking and bike rentals! After parking your bike on the road you walk just about 50 yards to this viewing area. Great views of the Pacific with lava flowing into it. 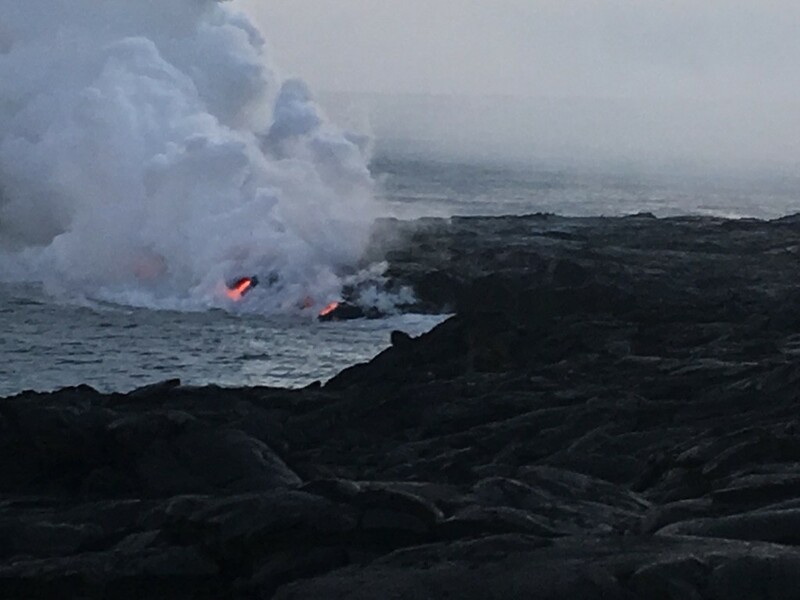 This is a slight zoomed image of the views from the viewing area to the current lava flow into the ocean.